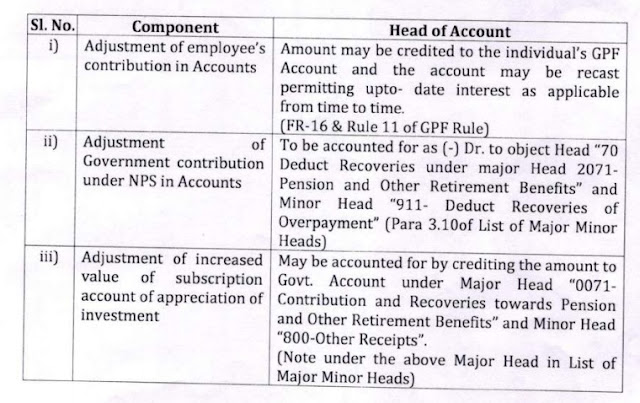 PF/GPF Procedure for extending the benefits of Old GPF / pension Scheme to those casual workers covered under the Scheme as per CPAO/IT & Tech/Clarificarion/Dated: 13.07.2018/Procedure for Extending Old Pension Scheme casual workers covered under the Scheme of 1993 and regularized on or after 01.01.2004 as per CPAO/IT & Tech/Clarificarion/Dated: 13.07.2018. 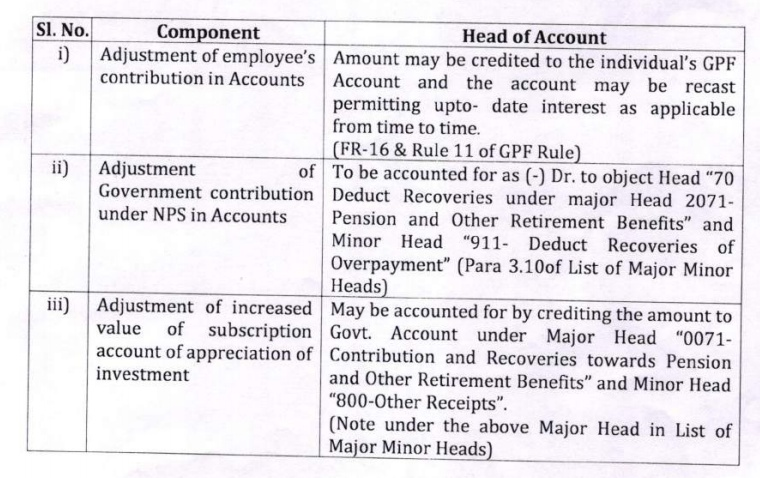 Procedure for extending the benefits of Old GPF / pension Scheme to those casual workers covered under the Scheme of 1993 and regularized on or after 01.01.2004 as per CPAO/IT & Tech/Clarificarion/Dated: 13.07.2018. Procedure for extending the benefits of Old GPF / pension Scheme to those casual workers covered under the Scheme as per CPAO/IT & Tech/Clarificarion/Dated: 13.07.2018. Deptt. may issue the order that the old GPF Scheme/ Pension Scheme is applicable to the concerned official. CPAO may be requested through concerned Pay & Accounts Office to stop Provisional Pension after cancellation of PPO, if issued. NSDL may be requested by the concerned PAO to deposit the NPS subscription, Govt. Contribution plus interest thereon into the Govt. Account through ERM of NSDL. GPF and Pension case of the concerned official may be processed as per the GPF Rules and CCS (Pension) Rules, 1972 after adjusting the Provisional Pension paid to the pensioner, if paid This issues with the approval of the Chief Controller (Pensions). Download Procedure for extending the benefits of Old GPF/Pension Scheme to those casual workers.